The Internet of Things (IoT) concept is being widely presented as the next revolution toward massively distributed information, where any real-world object can automatically participate in the Internet and thus be globally discovered and queried. Despite the consensus on the great potential of the concept and the significant progress in a number of enabling technologies, there is a general lack of an integrated vision on how to realize it. 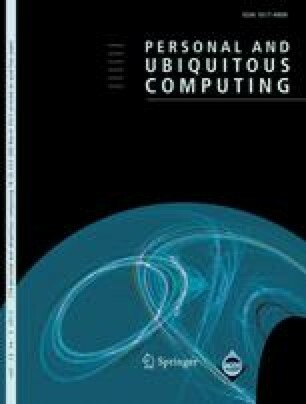 This paper examines the technologies that will be fundamental for realizing the IoT and proposes an architecture that integrates them into a single platform. The architecture introduces the use of the Smart Object framework to encapsulate radio-frequency identification (RFID), sensor technologies, embedded object logic, object ad-hoc networking, and Internet-based information infrastructure. We evaluate the architecture against a number of energy-based performance measures, and also show that it outperforms existing industry standards in metrics such as network throughput, delivery ratio, or routing distance. Finally, we demonstrate the feasibility and flexibility of the architecture by detailing an implementation using Wireless Sensor Networks and Web Services, and describe a prototype for the real-time monitoring of goods flowing through a supply chain.